Are you fasting for Lent? If so, are you doing it like this? 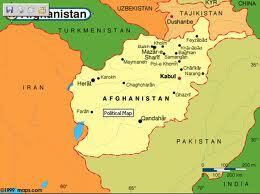 All Afghan Christians come from a Muslim background. Believers who are discovered face discrimination from family and community, Muslim clergy and local authorities. The government treats converts in a hostile manner, using any means possible to make them recant. The tiny Christian minority cannot meet in public; meetings in private homes are possible, but require great caution. Not a single official church building remains, not even for expatriate believers. In February, an Afghan Christian was released after spending nearly nine months in prison on charges of apostasy. After intense diplomatic pressure, authorities released Afghani Christian Said Musa, who had been in prison for nearly nine months on charges of apostasy (leaving Islam), punishable by death under Islamic law. Another convert, however, remains in prison. 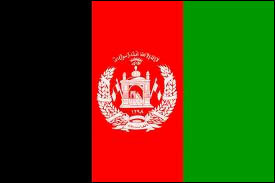 A source in Afghanistan said that Musa was released and had left the country, but the date of his release was not clear. Musa had written a series of letters from his prison cell, the last one dated Feb. 13. In that letter Musa, an amputee and a father of six, said that representatives of embassies in Kabul visited him and offered him asylum. After the representatives left, Musa was taken to another room where three Afghani officials tried to convince him to recant his faith. They promised to release him from prison within 24 hours if he would do so. He refused and was sent back to his cell. “I told them I cannot follow Islam,” he wrote in his letter. “I am Jesus Christ’s servant. They pushed me much and much. I refused their demands.” Still in prison is Shoib Assadullah, an Afghani Christian who has been in a holding jail in a district of Mazar-e-Sharif, in northern Afghanistan since October. A recent letter from him suggests that his life is in danger. For the church to grow despite the difficulties.